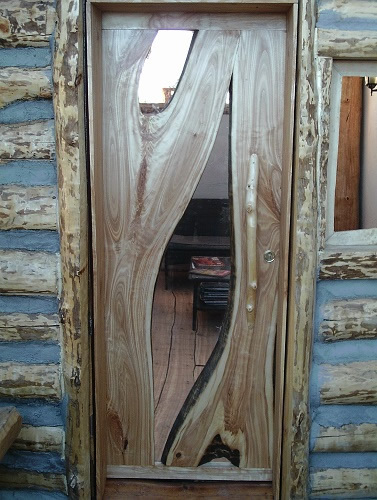 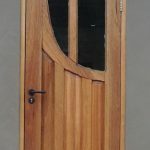 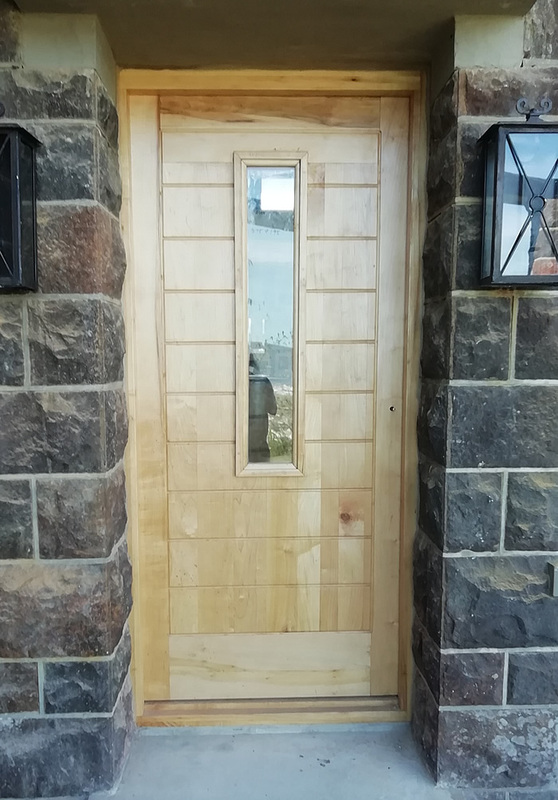 Looking for a beautiful and unique wooden door? 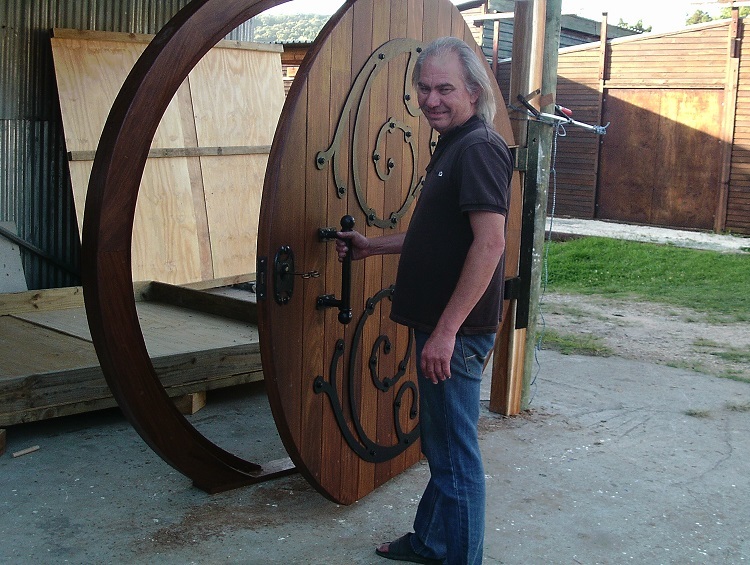 Johan Nel of Knysna Woodworkers can make it for you. 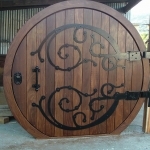 Truly bespoke, with doors carefully handmade according to your individual needs: custom built and tailored according to any size, type and design you could want – internal and external doors, standard, round and arched doors, from rustic to clean, modern designs, anything in between, to something completely unique, even something straight out of a movie! 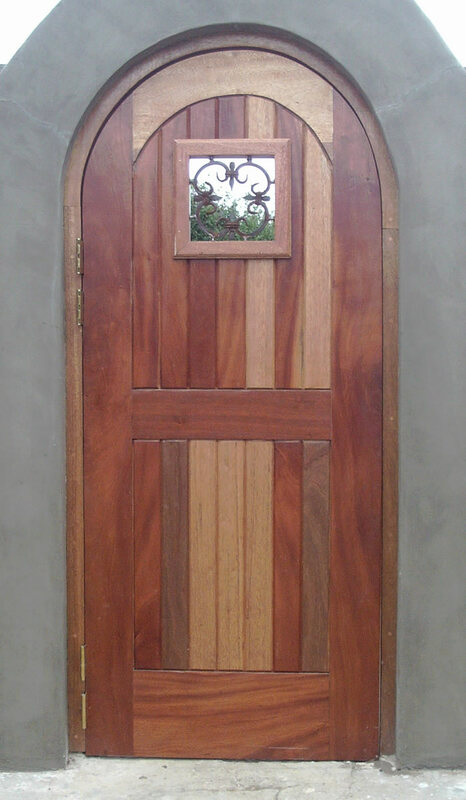 My workshop is located in Knysna, South Africa, but these goods can be supplied anywhere. 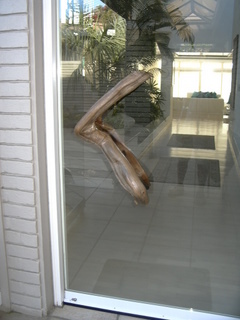 Selected items. 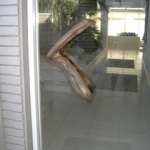 Please click on a thumbnail image for a zoomed up view. 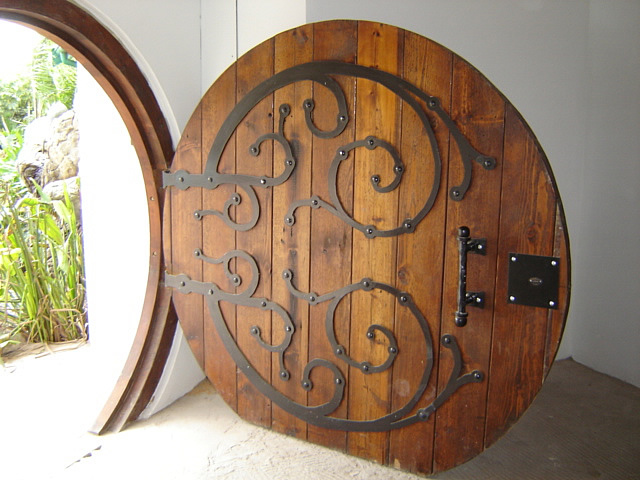 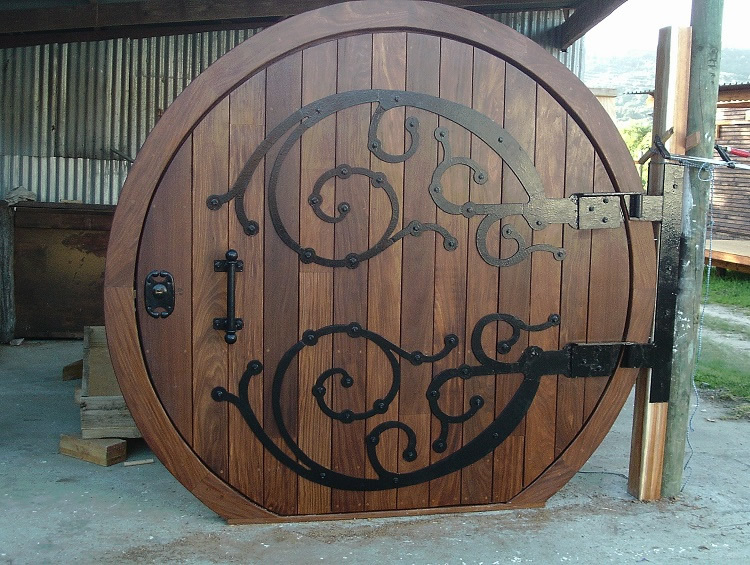 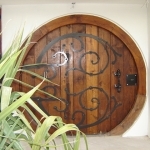 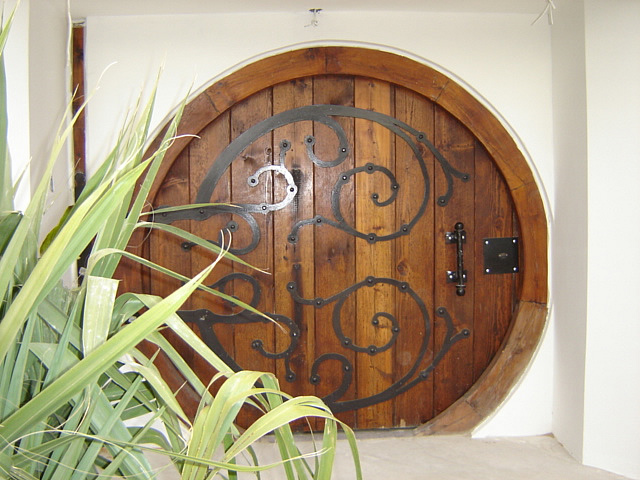 These “Hobbit” replica round doors I am most well known for. 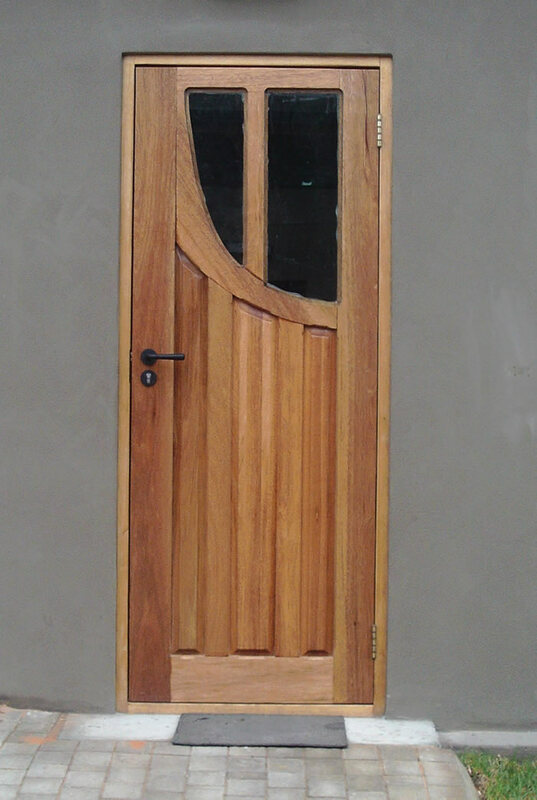 * Notably, the Afromosia one was featured in Timber iQ magazine, April-May 2016 issue 25. 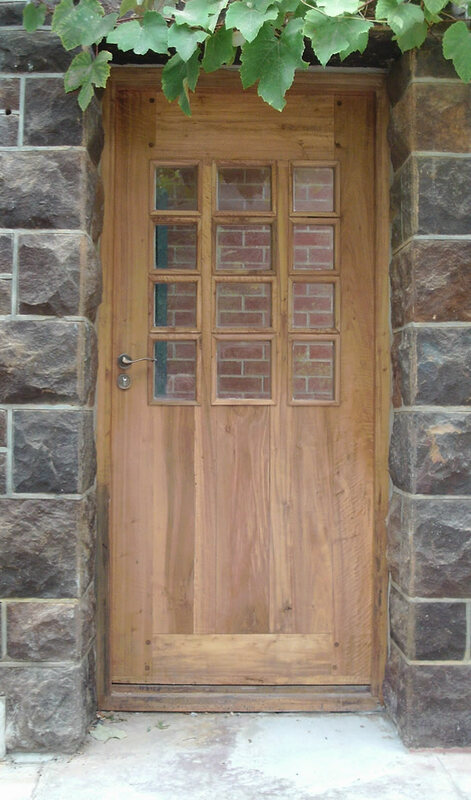 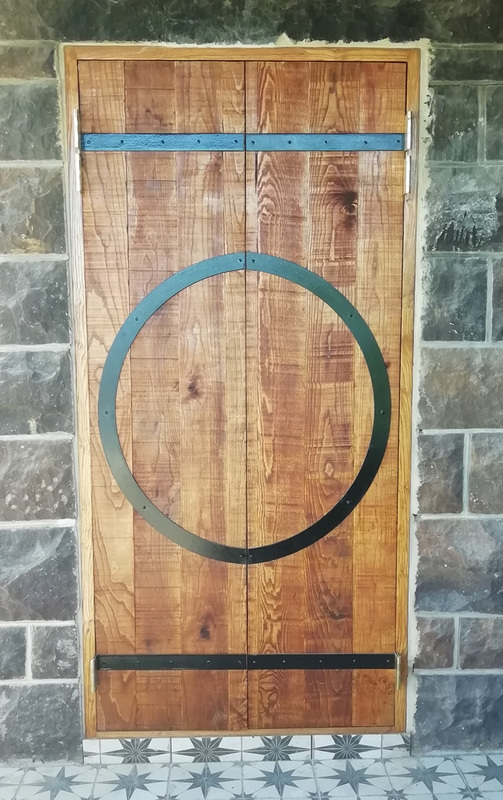 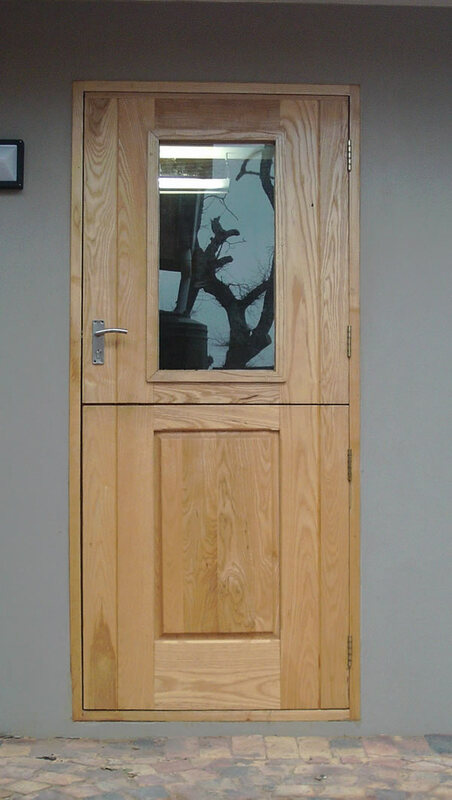 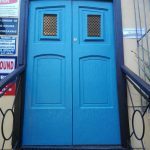 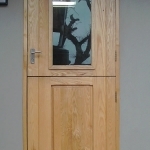 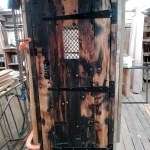 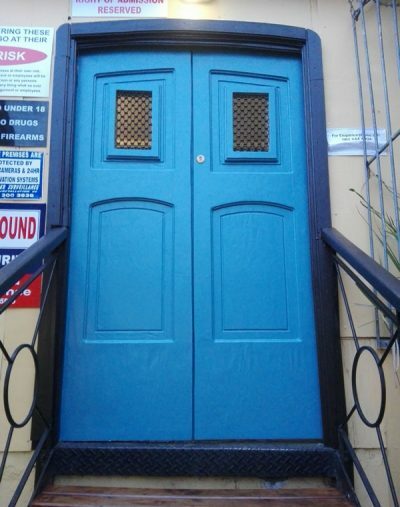 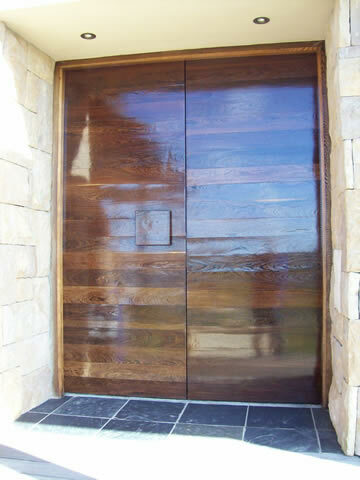 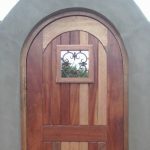 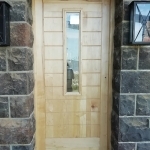 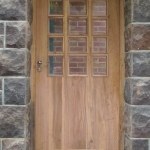 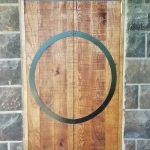 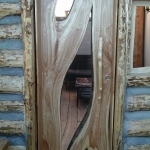 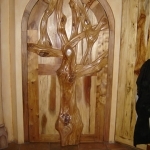 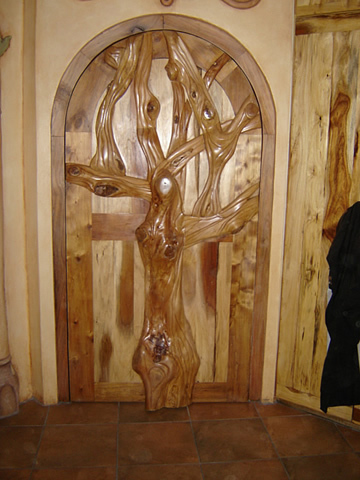 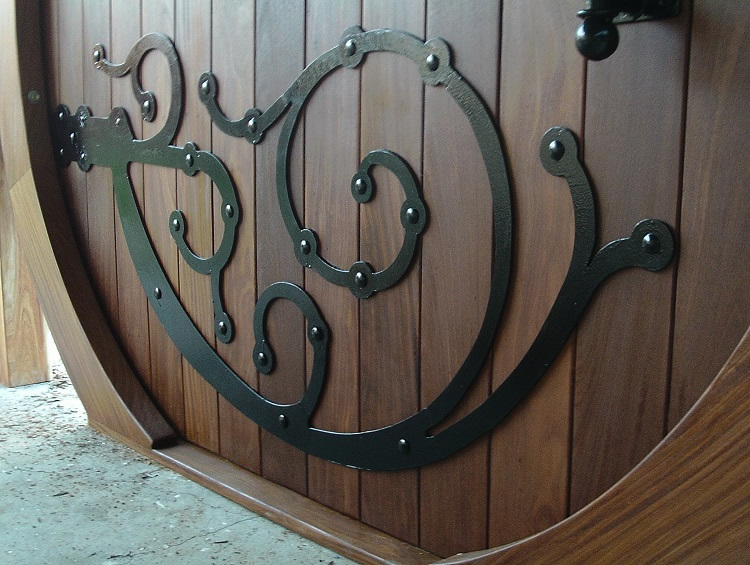 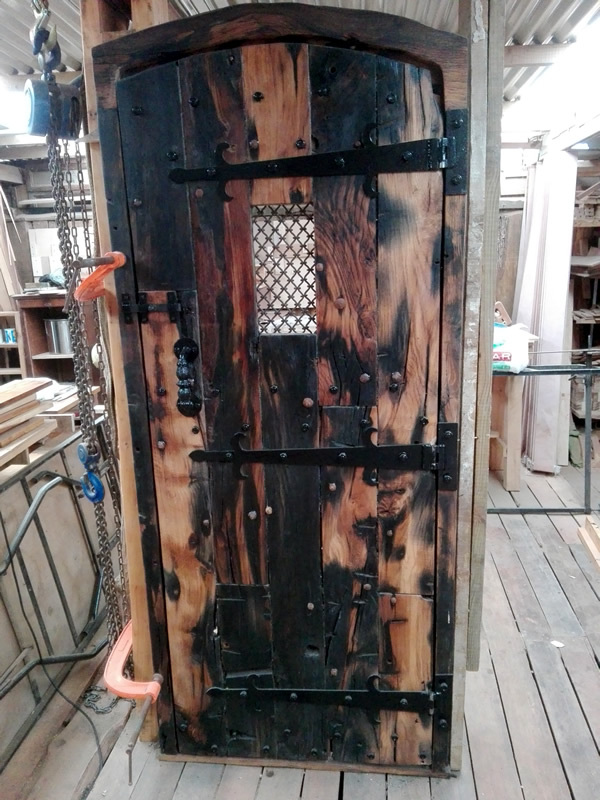 I’ve made doors of all shapes and sizes, for inside and outside use and in various styles. 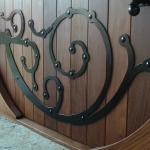 In fact, any design is possible – if you can imagine it, I can make it for you. 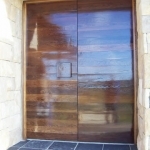 Please contact me and we can discuss any door that you need custom made. 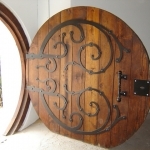 If you aren’t sure yet of what you want specifically, I can assist by making suggestions and showing you many more ideas based on your individual needs and help you arrive at the best solution.